Available Colors: White with Black, Blue, Green or Red Trim and Rubber Grip. Shipping Weight: Bulk, 1000 per carton @ 28 lbs. Customized Acadia Pen (Item #HT-875) is Promotional with a Free Artwork Imprint. 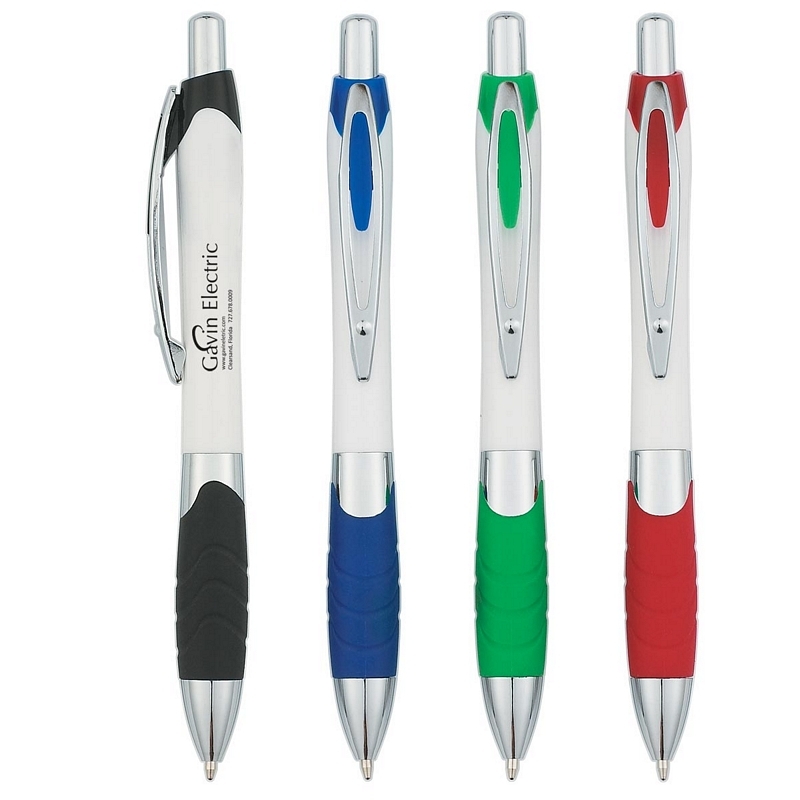 Promotional Plastic Pens like our Personalized Acadia Pen are decorated with your logo with no setup fees. Customized Mystic Pen (Item #HT-879) is Promotional with a Free Artwork Imprint. 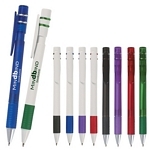 Promotional Plastic Pens like our Personalized Mystic Pen are decorated with your logo with no setup fees. Customized Luna Retractable Pen Item #HT-878 is Promotional with your business logo for advertising to clients. 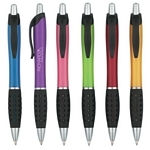 Customized Luna Retractable Pen and other Promotional Plastic Pens are decorated with No Setup Fees. Customized Retractable Gel Ink Customized Pen Item #HT-882 (Minimum Order: 250). Promotional Pens like the Retractable Gel Ink Customized Pen can be personalized with your business logo and with No Setup Fees. 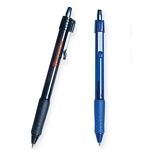 Customized Rio Ball Point Pen with Contoured Rubber Grip Item #HT-880 (Minimum Order: 250). 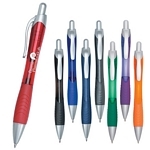 Promotional Customized Pens can be personalized with your business logo. Our Promotional Pens are decorated with No Setup Fees.